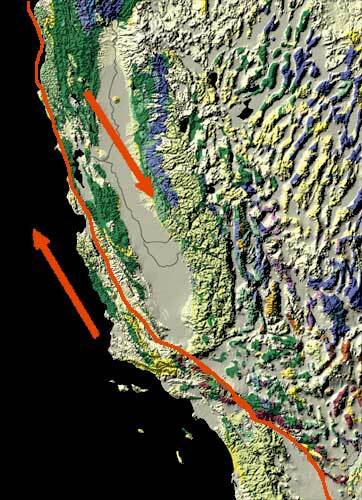 The San Andreas Fault is a continental transform fault that runs a length of roughly 810 miles (1,300 km) through California in the United States. The fault’s motion is right-lateral strike-slip (horizontal motion). It forms the tectonic boundary between the Pacific Plate and the North American Plate. 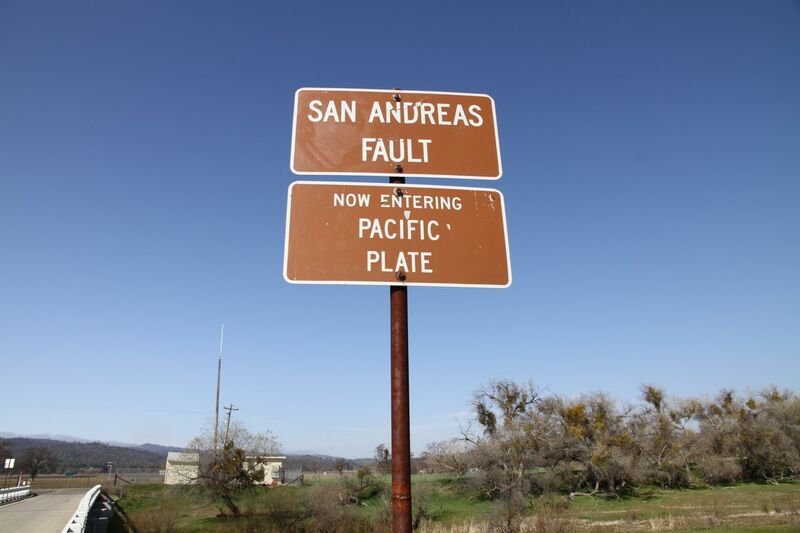 The fault was first identified in Northern California by the UC Berkeley geology professor Andrew Lawson in 1895 and named by him after a small lake which lies in a linear valley formed by the fault just south of San Francisco, the Laguna de San Andreas. After the 1906 San Francisco Earthquake, Lawson also discovered that The San Andreas Fault stretched southward into southern California. Large-scale (hundreds of miles) lateral movement along the fault was first proposed in a 1953 paper by geologists Mason Hill and Thomas Dibblee. This entry was posted on May 28, 2013 by rdotmdot in 3D, Conceptual, Free, Item and tagged 3D, CONCEPTUAL, EARTHWORK, FREE.